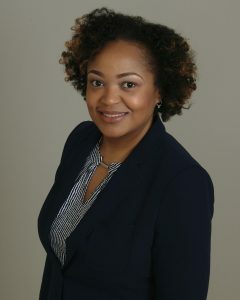 Tamika Ellis has been an educator for over a decade with experiences in public, private, and charter schools. Her teaching journey began in the Prince William County school system in Virginia and then to Durham Public Schools in North Carolina, where she engaged a diverse population of students. After relocating back to Cleveland she taught at Laurel School in Shaker Heights where she served as a Primary and Middle School Teacher, Upper School Track Coach, and Director of the Gator Train camp. As a minority, Tamika had the opportunity to participate in the Institute for Recruitment of Teachers program, which afforded her the opportunity to attend the University of New Hampshire earning a Master’s in Elementary Education. These rich experiences and love for empowering youth have led Tamika to continue educating students from a social justice and diversity platform. As a Program Specialist for School & Youth, she continues to create communities where children feel respected and are inspired to work every day to create change. She is working to transform schools and classrooms into spaces where students, teachers, and administrators have a mindset for growth, equity, diversity, and inclusion at the core of their work.